Across the globe and throughout history, humans have been interested in understanding their origins – both biological and cultural. Archaeological excavations and the artefacts they recover shed light on complex behaviours – such as tool making, symbolically burying the dead or making art. When it comes to understanding our biological origins, there are two primary sources of evidence: fossil bones and teeth. More recently, ancient genetic material such as DNA is also offering important insights. 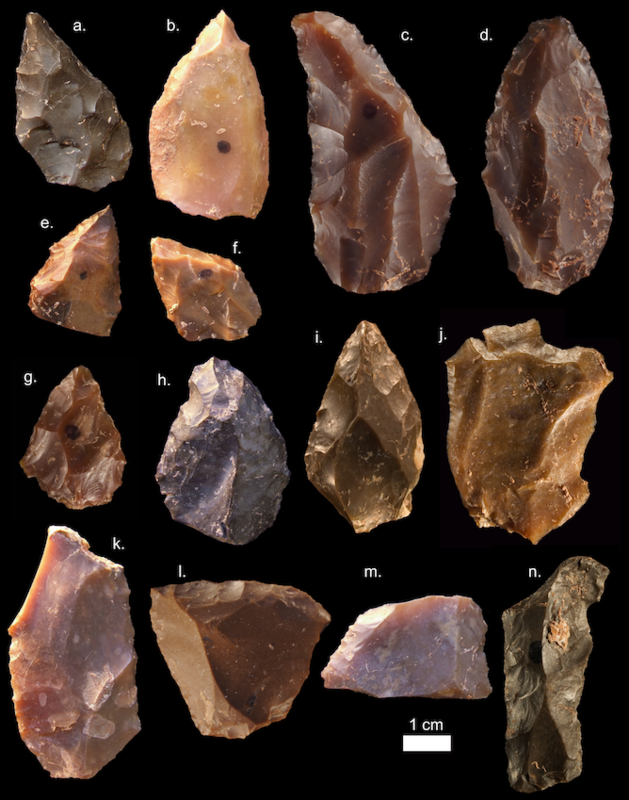 The findings come from the Moroccan site of Jebel Irhoud, which has been well-known since the 1960s for its human fossils and sophisticated stone tools. However, the interpretation of the Irhoud fossils has long been complicated by persistent uncertainties surrounding their geological age. In 2004, evolutionary anthropologists Jean-Jacques Hublin and Abdelouahed Ben-Ncer began a new excavation project there. They recovered stone tools and new Homo sapiens fossils from at least five individuals – primarily pieces of skull, jaw, teeth and some limb bones. Composite reconstruction of the earliest known Homo sapiens fossils from Jebel Irhoud (Morocco) based on micro-computed tomographic scans of multiple original fossils. To provide a precise date for these finds, geochronologists on the team used a thermoluminescence dating method on the stone tools found at the site. When ancient tools are buried, radiation begins to accumulate from the surrounding sediments. Whey they are heated, this radiation is removed. We can therefore measure accumulated radiation to determine how long ago the tools were buried. This analysis indicated that the tools were about 315,000 years old, give or take 34,000 years. Researchers also applied electron spin resonance dating, which is a similar technique but in this case the measurements are made on teeth. Using data on the radiation dose, the age of one tooth in one of the human jaws was estimated to be 286,000 years old, with a margin of error of 32,000 years. Taken together, these methods indicate that Homo Sapiens – modern humans – lived in the far northwestern corner of the African continent much earlier than previously known. But how can one be sure that these fossils belonged to a member of our species rather than some older ancestor? To address this question, the anatomists on the team used high-resolution computed tomography (CAT scans) to produce detailed digital copies of the precious and fragile fossils. They then used virtual techniques to reconstruct the face, brain case and lower jaw of this group – and applied sophisticated measurement techniques to determine that these fossils possessed modern human-like facial morphology. In this way, they could be distinguished from all other fossil human species known to be in Africa at the time. Virtual palaeoanthropology is able to correct distortions and fragmentations of fossil specimens. The high-resolution scans were also used to analyse hidden structures within the tooth crowns, as well as the size and shape of the tooth roots hidden within the jaws. These analyses, which were the focus of my contribution, revealed a number of dental characteristics that are similar to other early fossil modern humans. And although more primitive than the teeth of modern humans today, they are indeed clearly different from, for example, Homo heidelbergensis and Homo neanderthalensis. 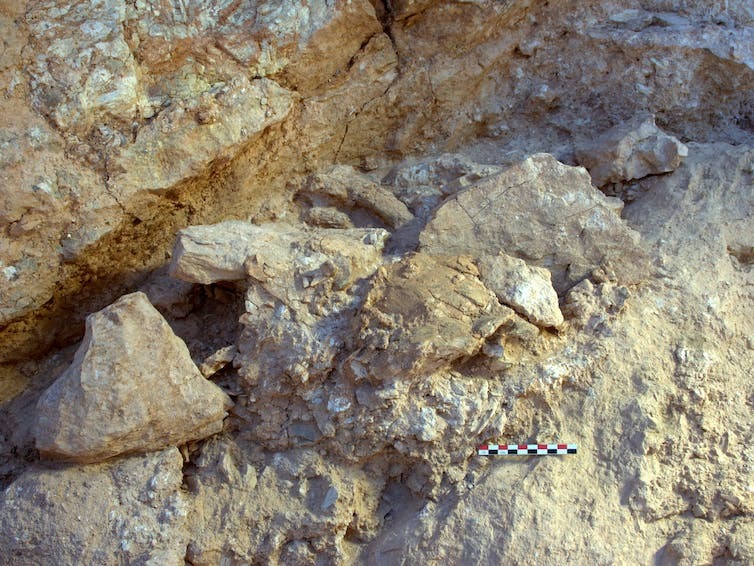 The discovery and scientific analyses confirm the importance of Jebel Irhoud as the oldest site documenting an early stage of the origin of our species. As a palaeoanthropologist who focuses on the study of fossil bones and teeth, I am often asked why we don’t simply address these questions of human origins using genetic analyses. There are two main reasons for this. Although incredibly exciting advances have been made in the recovery and analysis of genetic material from fossils that are several hundreds of thousands of years old, it seems that this is only likely to be possible under particular (and unfortunately rare) conditions of burial and fossilisation, such as a low and stable temperature. That means there are fossils we may never be able to get genetic data from and we must rely on analyses of their morphology, as we do for other very interesting questions related to the earliest periods of human evolutionary history. Also, understanding the genetic basis of our anatomy only tells us a small part of what it means to be human. Understanding, for example, how behaviour during our lives can alter the external and internal structure of hand bones can help reveal how we used our hands to make tools. Similarly, measuring the chemical composition and the cellular structure of our teeth can tell us what we were eating and our rate of development during childhood. It is these types of factors that help us really understand in what ways you and I are both similar and different to the first members of our species. And of course, we should not forget that it is the archaeological record that is identifying when we started to make art, adorn our bodies with jewellery, make sophisticated tools and access a diverse range of plant and animal resources. There have been some intriguing suggestions that human species even older than Homo sapiens may have displayed some of these amazing behaviours. More such research will reveal how unique we actually are in the evolutionary history of our lineage. So let’s encourage a new generation of young scientists to go in search of new fossils and archaeological discoveries that will finally help us crack the puzzle of human evolution once and for all.